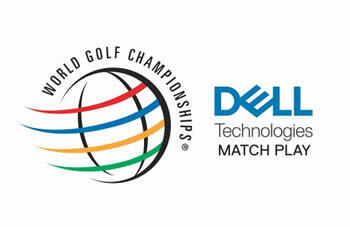 The WGC Dell Technologies Match Play is a small field of 64 top ranked golfers playing in head to head matches. It used to be a single elimination tournament but in 2015 the format was changed. Here is the Format - the tournament begins with pool play with 16 groups of four golfers playing in round-robin matches starting on Wednesday until Friday. The winners of each of the 16 groups advance to a single-elimination bracket to be played on the weekend. The round of 16 and quarterfinals are played on Saturday, and then on Sunday the semi-finals and the final and consolation matches are played. 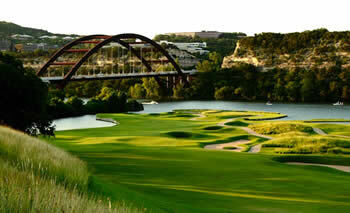 The WGC Dell Match Play is a unique tournament and fun to watch as some of the best golfers in the world go head to head against one another. The groups are created this way: The top 16 golfers are placed into 16 groups (one per group) with the remaining 48 golfers placed into the groups based on their seeding as well. If after 3 days of play 2 players are tied at the top of the group, the winner of their head-to-head match determines the winner of the group. The 2019 WGC Dell Technologies Match Play is in it's fifth year of the new bracket format being played. Last year had some positive results and 2019 should again be full of excitement. 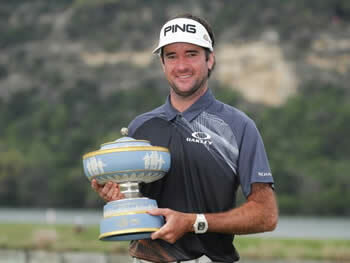 Bubba Watson returns as defending champion facing the best of the best in the world in this unique event. You will have to check to see which Top Fantasy Golf Sites will have games for the 2019 World Golf Championship Dell Technologies Match Play as with it being a unique tournament some sites choose not to run games because of the different format. Last year DraftKings ran contests with a different scoring system adopted just for the Match Play format. We don't know until the Monday of the tournament who is running fantasy golf games this week and most sites usually will probably focus on the Corales Puntacana Resort & Club Championship for fantasy games instead. All eyes on here are looking for one thing – which golfer(s) are playing well enough going into the Masters in 2 weeks. You need to pick which top player(s) you will use to anchor your DraftKings Fantasy Golf Millionaire lineup. This is the BIGGEST Fantasy Golf Contest for the Masters and being able to pick a winner is pretty crucial to winning the $1 Million check. The WGC Dell Match Play has 64 of the best golfers playing…will one of them be wearing the green jacket on Sunday at Augusta and will you have picked him and be drinking champagne on that same Sunday? It’s a 64 man field and although your odds of winning are better than in a standard PGA Tour tournament, it still doesn’t mean that you can pick the winner of a 64 man field. Besides, heading into a big fantasy golf tournament in 2 weeks, wouldn’t you at least want to try out GolfStats.com and take advantage of their skills, knowledge and research? We all want FREE Fantasy Picks for the Dell Match Play…but why listen to people that make up picks on a blog instead of experts that actually make people money for a living?